Refurbished RM ONE 17" Ascend 1010B. Intel Celeron D 2.80 GHz Hyper Threading processor. 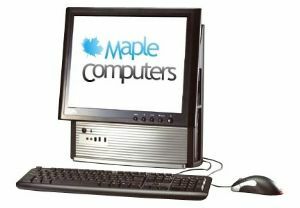 Our great value and high quality refurbished RM One ascend 1010B desktop PC's are ideal for the educational environment. Computers are in excellent condition and full working order. Grade 2 - Good condition however the two front USB ports are not working as the small centre block has come out. For further information on the condition, please view our grading system. If you have any questions regarding the condition, please contact us.